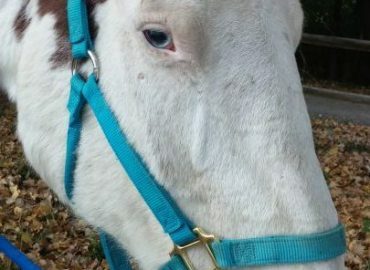 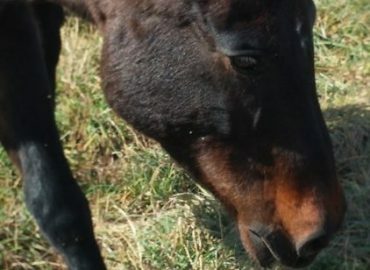 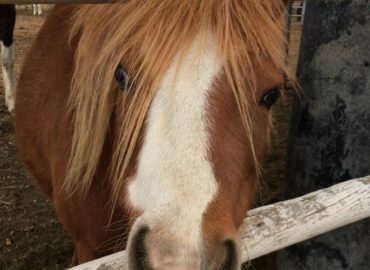 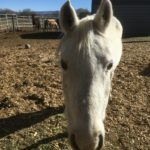 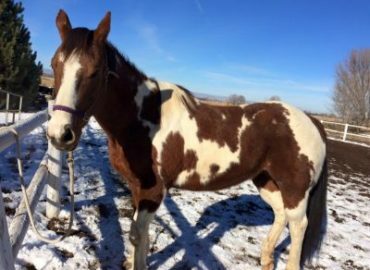 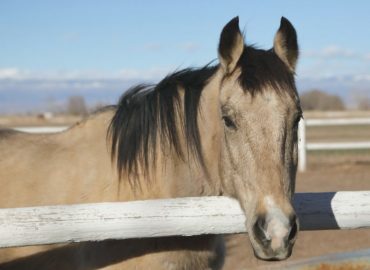 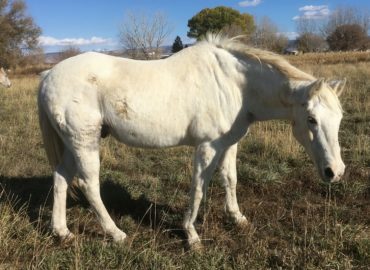 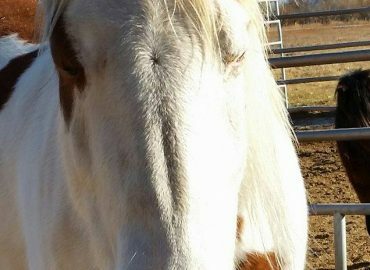 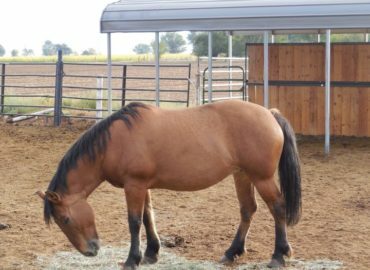 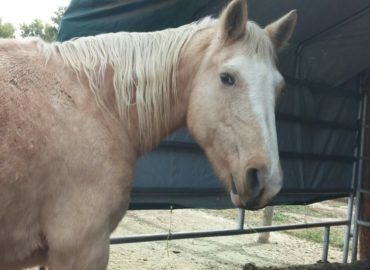 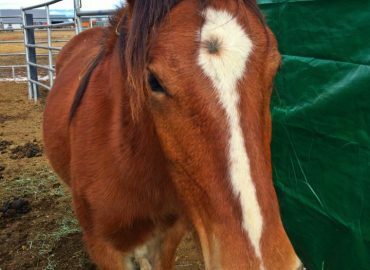 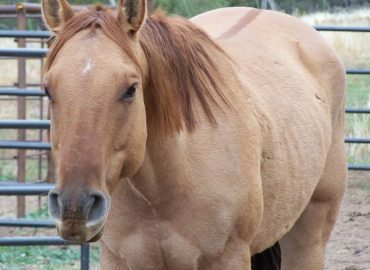 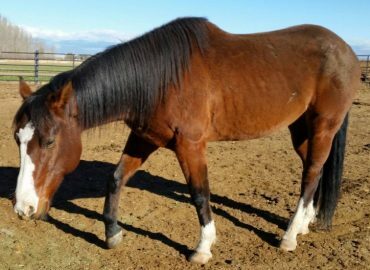 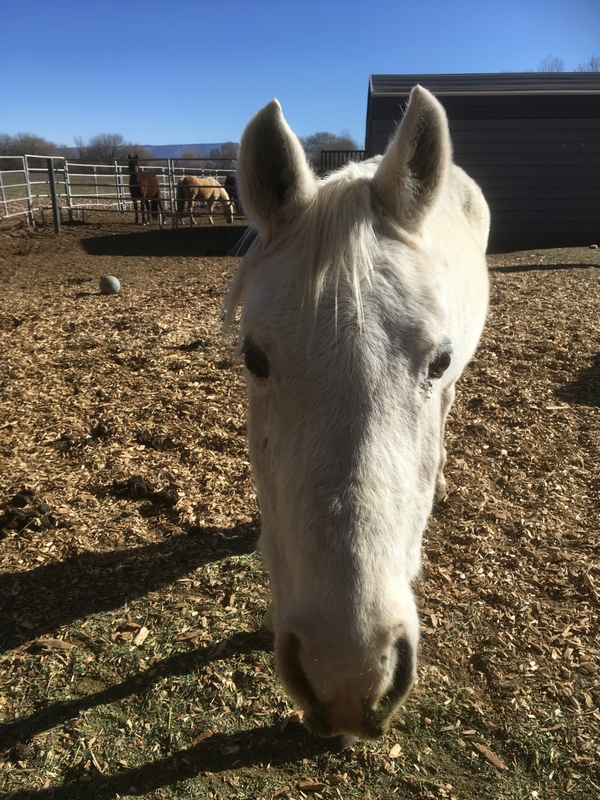 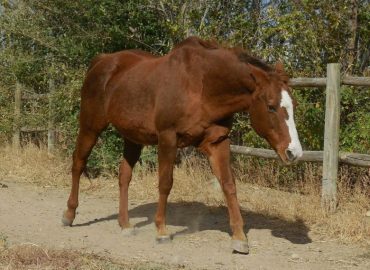 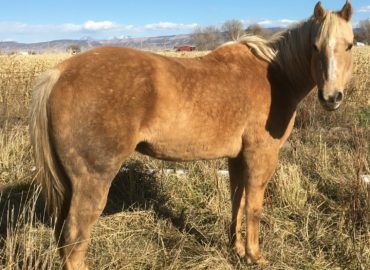 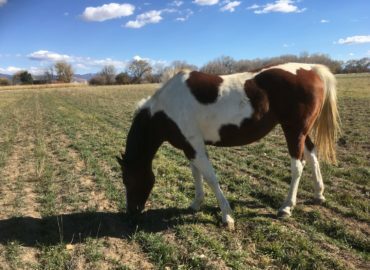 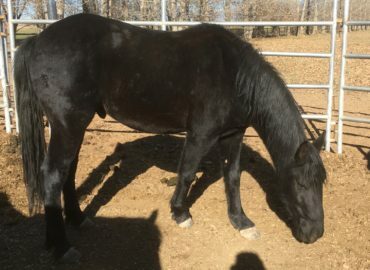 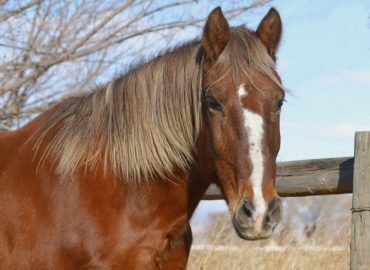 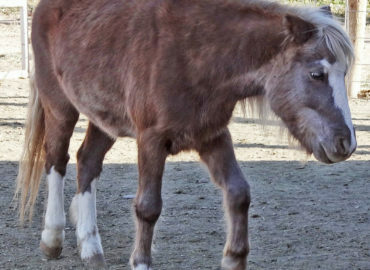 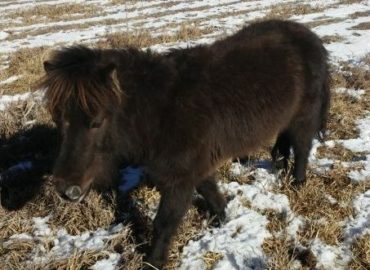 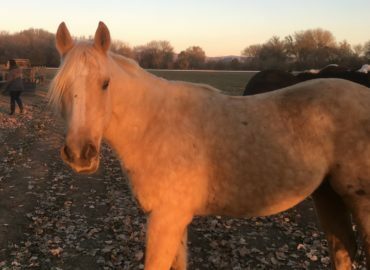 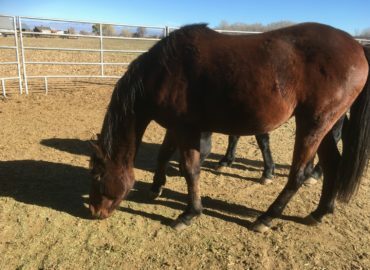 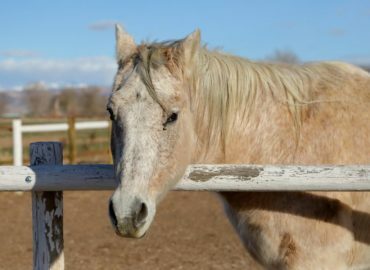 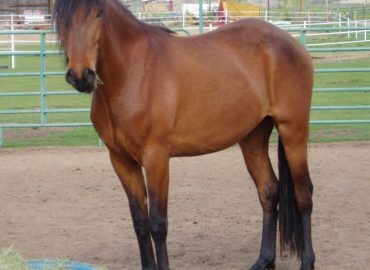 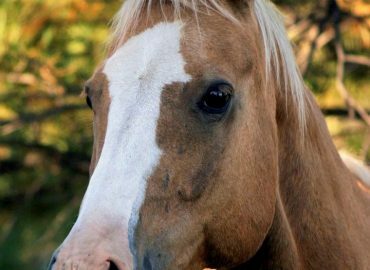 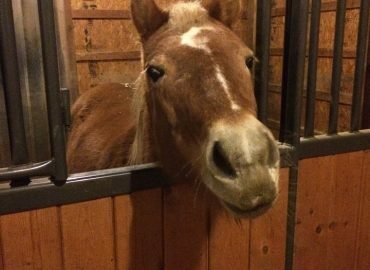 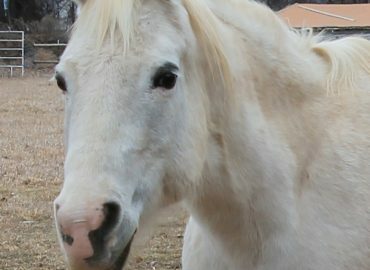 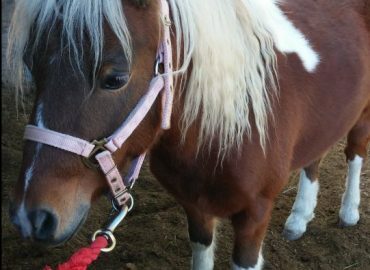 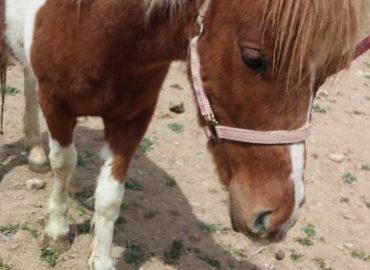 Misty as a sweet little Arabian mare who came to us because she was walking in an odd manner and her owner could not figure out why. 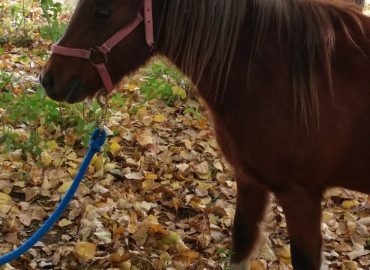 She was lifting and slamming down her hind leg almost continuously. 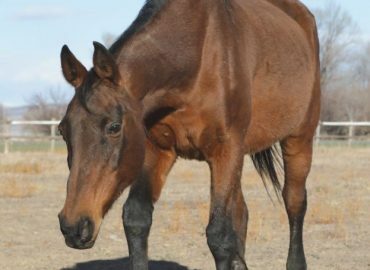 She has since been treated with Rose Hip Seed oil on the scar tissue on the leg and is no longer exhibiting the behavior. 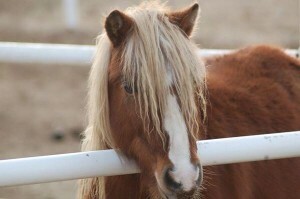 It does occasion pop up if she is in extreme discomfort. 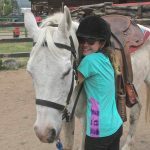 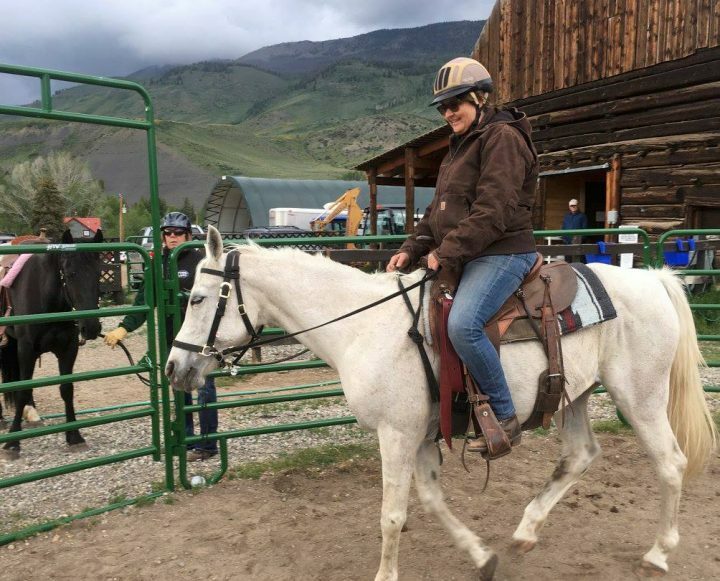 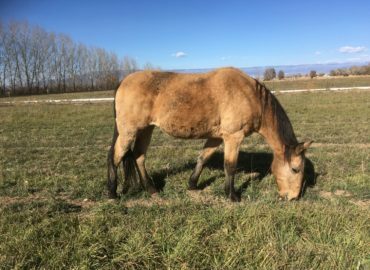 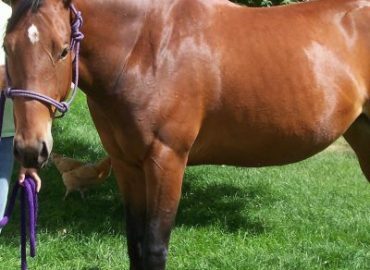 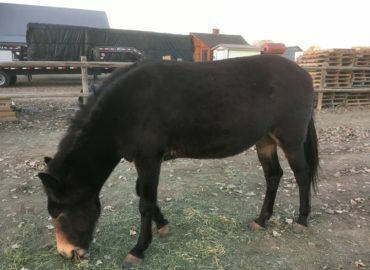 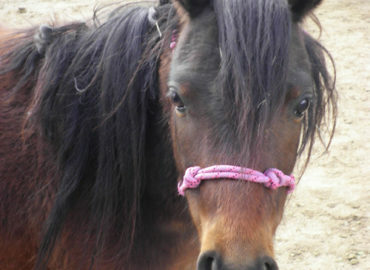 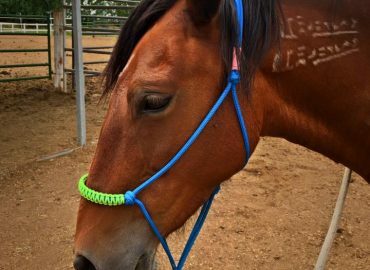 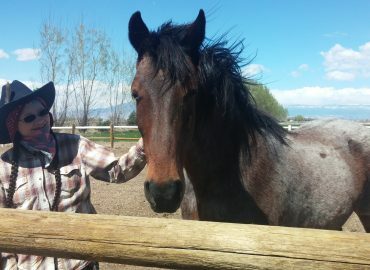 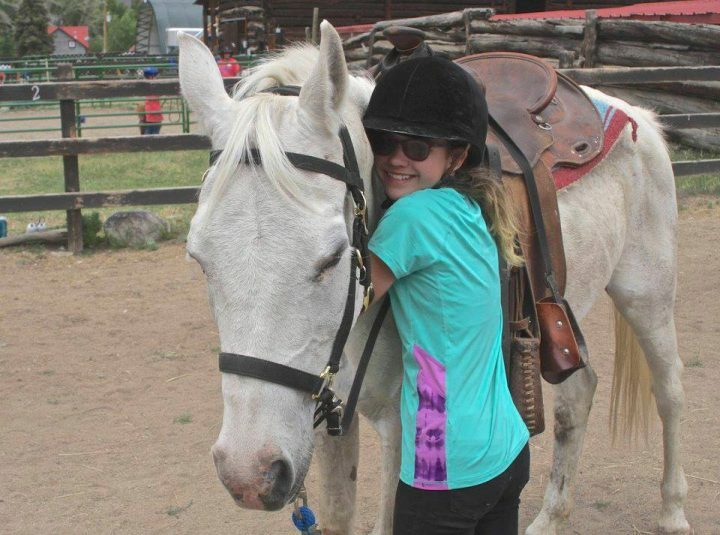 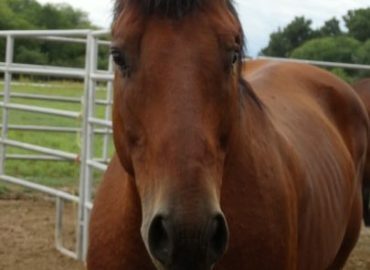 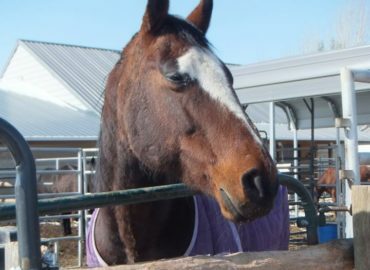 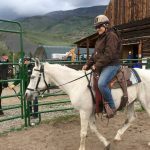 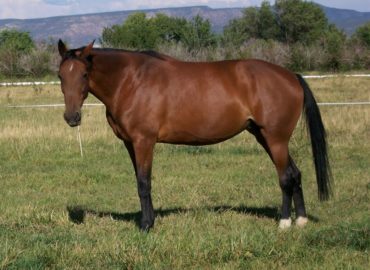 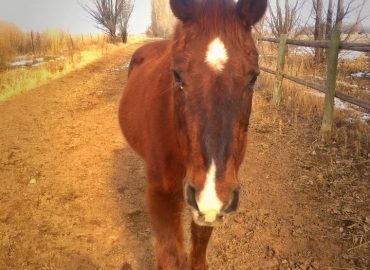 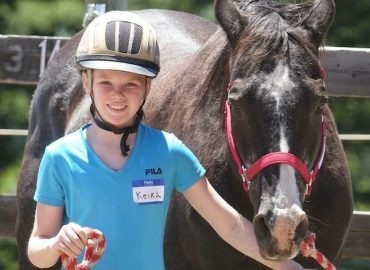 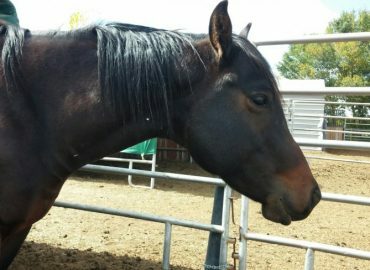 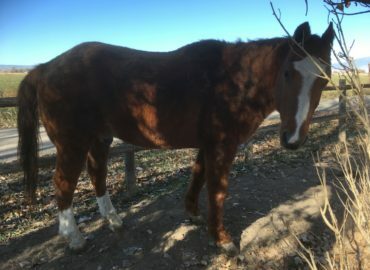 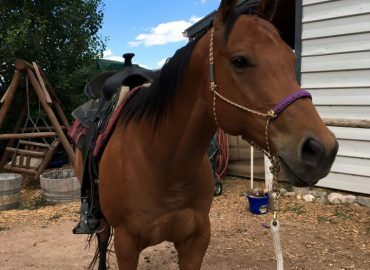 We have not done any ridden work with her but according to her file she was a trail horse and worked well under saddle. 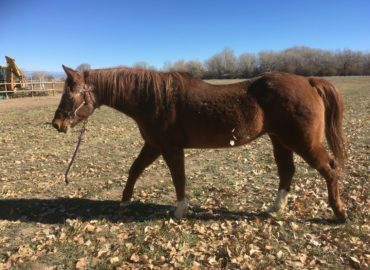 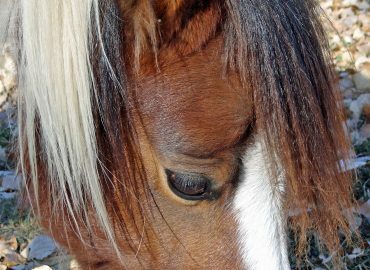 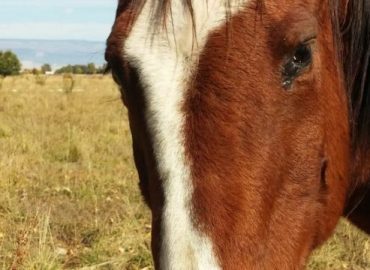 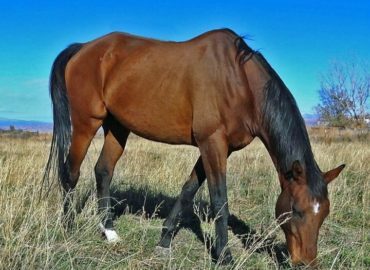 She is sounds but cannot compete at high levels due to the injury to her hind leg caused by running through a wire fence some years ago. 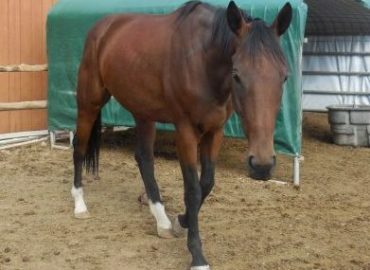 She handles nicely on the ground but is a typical Arabian and is always high strung.